Home Recipes Sink your teeth into this juicy recipe! Sink your teeth into this juicy recipe! Start out by picking up a free range or organic whole chook and start showing that thing some love by massaging it with butter which will make the skin come out super crispy. Then put some butter cubes, thyme and half a lemon cut into slices. After youve rubbed butter under the skin, then take the other half of the lemon and place the slices under the skin. All the hands-on work is over! So next, place this beauty into a dish and allow it to sit some water or white wine. Add some leek, garlic and other veggies youd like to the liquid. Pop the dish onto a pizza stone that sits on the grill or find yourself some safe little pebbles and rest the dish on top of them. This will help to keep the dish off the direct heat giving you a more tender andjuicy result. Shut the grill and allow it to roast away until cooked. 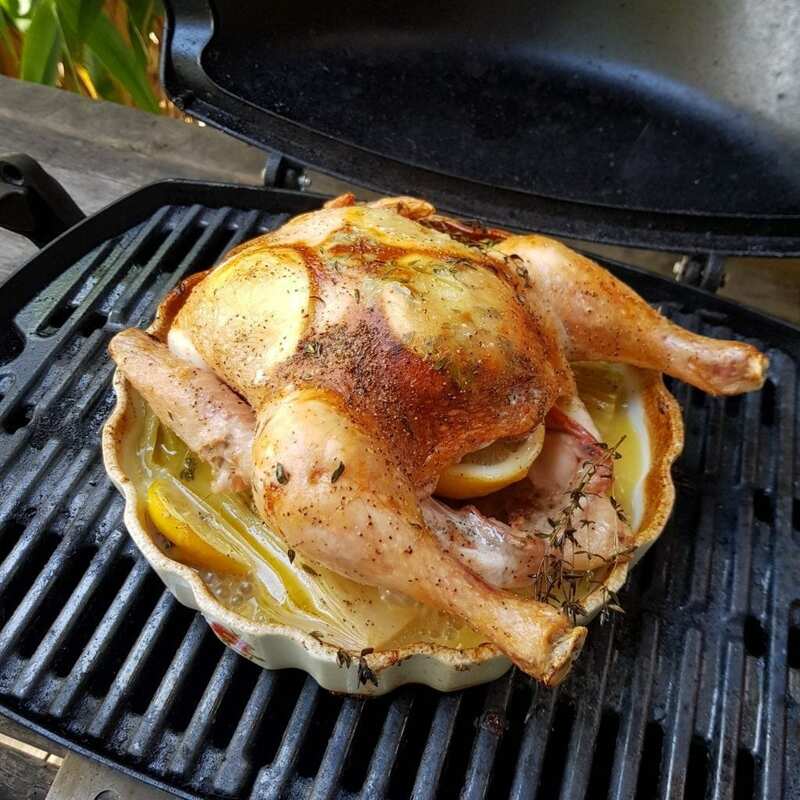 Once the chook is done, be sure to take a quick snap of it and hashtag us in your certainlyInstagram and Facebook worthy photo!